Henry Wadsworth Longfellow would have had every reason to dislike Edgar Allan Poe in the 1840s. Poe, the preeminent American critic of his day, spent part of the middle of that decade engaged in a "Longfellow War." Longfellow, by then one of the major American poets, had gained his reputation unfairly, according to Poe, who accused the Portland, Maine-born poet of imitating other poets. You are mistaken in supposing that you are not 'favorably known to me.' On the contrary, all that I have read from your pen has inspired me with a high idea of your power; and I think you are destined to stand among the first romance-writers of the country, if such be your aim. Longfellow never responded publicly to Poe's criticism, even after Poe's death; this is likely because he knew he really was an imitator. He often attributed his ideas or poetic formats to others, a typical practice in romantic poetry. Poe, on the other hand, strove for originality (though he occasionally lifted ideas too). Longfellow's words about Poe, his worst critic, were always kind. In fact, in 1875, he even suggested (apparently from memory!) an epitaph for Poe's planned memorial monument: "The fever called Living is conquered at last." 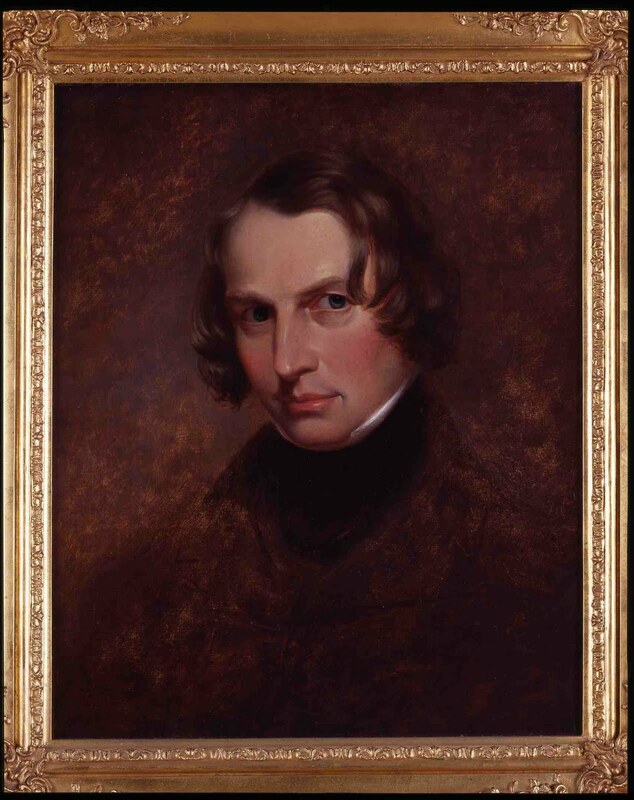 *The image of Longfellow above dates to 1840 and was painted by Cephas Giovanni Thompson. The original still hangs in his long-time home in Cambridge, Massachusetts (where he was living at the time this letter was written). The image is courtesy of the National Park Service. Longfellow saw no need to respond to Poe’s criticism because he was above literary squabbling. He also had no reason to be defensive. Just as his contemporaries and many writers before him did, he sometimes borrowed ideas or retold stories; some were imitated centuries before Longfellow retold them. He was only following a time-honored tradition. We should not lose sight of the fact that, despite his critical acclaim, Poe was not successful at earning a living from his writing. Compare that to Longfellow’s remarkable ability to become the first (and perhaps the last) American poet to make his living from his poetry. Poe was clearly jealous of Longfellow and all that he represented—his social standing, his academic position, and his extraordinary popular following. Perhaps because of Poe’s more lasting appeal—in this and most of the last century, Poe’s readership has been significantly greater than Longfellow’s—it is easier for us to make excuses for him. Longfellow biographer Charles Calhoun writes that “Poe’s attacks on Longfellow’s reputation were often in reverse proportion to evidentiary truth.” It is refreshing to read such vigorous defenses of Longfellow against Poe’s unfounded charges. Both were great writers, each with his merits, but on the “Longfellow War,” let the record speak for itself. Better to be historically accurate than politically correct. Thank you for your long response! I'd love to respond to it but you'll excuse me if it seems disjointed. Poe's charges were not unfounded: Longfellow was a plagiarist (in the 1840s definition of the word: "a literary borrower"). Yes, Longfellow was following a tradition of imitation (as I wrote in the entry), which is precisely how Poe was correct. Longfellow himself admitted it in this period (the idea that he "never responded" is a beautifully romanticized and, as you said, "politically corrected" version of the story). Longfellow also later admits that he could not help being strongly affected by all responses to his writing, good or bad. Ultimately, Poe's critique of Longfellow had little to do with plagiarism or imitation. Anyone who thinks so is being far too superficial about the situation. The Poe-Longfellow War was a major concentration of my research and the topic of my paper presented at the Poe conference back in October. If you provide an email address, I'd be happy to provide a copy with my extensive exploration of this incident. While I find this dialogue intriguing, I have NO desire to enter-into the "Longfellow/Poe Wars Revisited" (although I so-enjoy both of these writers for their own merits, which are prodigious), so I am just tossing-off a couple of (hopefully not too inane) comments. I enjoyed reading what each of you has to say. Of course, "borrowing" is, as Victor says, a "time-honored tradition," dating back-to "whenever" (sorry--can't do italics here): isn't that how all the great legends, sagas, tales, etc., evolved? And then, of course, there's Shakespeare (major "borrower," but one would not dare to call it plagiarism). Everybody borrows, appropriates, etc. Wish I could recall which creative artist said (and I am thoroughly paraphrasing here), that the smoothest way of assimilating others' work is to "borrow" from a medium not your own: i.e., if you are a poet, take from a painter; if a sculptor, borrow from a dancer, etc. I close with a small but important (for me) piece of wisdom from a creative writing prof (in poetry) I had in college. He said (again paraphrasing) that there are two reasons to write a poem. One is that you have something new to say--probably unlikely. The other is that you have something that has already been said, but YOU can say it in a new (fresh, original) way. THAT, he said, is the reason to write a poem. His long-ago advice continues to inspire me. P.S. He is still alive, and wise. Well said, anonymous, and it certainly contributes to the discussion. One thing I always try to be clear about regarding the Poe-Longfellow War: the term "plagiarism" was not defined the way it is today. According to a Joseph Worcester dictionary from this period (Longfellow's personally inscribed copy), a "plagiarist" was "a literary borrower." The term "theft" was not used, nor does it imply plagiarism is wrong, dishonest, or even frowned upon. Does this soften our understanding of Poe's accusations? Maybe... maybe not. Hi, Rob, Thank you for the interesting exchange. I posted a response on Facebook a short while ago but was unable to post it here because it exceeded your word count limit. If there's a way to post it here, that would be great; I can appreciate your encouraging others to jump in. I've posted another piece on Facebook this evening. Unfortunately, our last few exchanges have not found their way to this blog. I think your readers might very well want to respond to the points we make, but that's not possible for non-Facebook users if they're not on your blog. Let's keep the thread intact if possible. Thanks! I am not a programmer, nor do I have control over the limit settings established by blogger.com, unfortunately. However, the Facebook page is linked from this site and, so far as I know, is visible to all, even without an account. Gentlemen, I know that I am three years behind your discussion, but I hope you have the opportunity to see this. I unfortunately do not possess the same literary passion, or background that you seem to. I really stumbled upon this fairly randomly, to tell the truth. I just watched "The Raven", and never knowing much about Poe, or really reading any of his work, my curiosity was sparked to google him and gain at least a small bit of knowledge. I myself have found myself lucky to be of Longfellow's bloodline, and actually have his name as my middle. I'm far from a scholar, just out of the Marines, and though I am fairly intelligent, at least for a Marine, I never applied myself in high school. The movie was my first insight to the Poe-Longfellow war, and this page has been very insightful. Having said all of that, my point of even commenting on here was simply this; I greatly admire, and respect your professionalism in presenting your opinions upon the matter. I've seen many discussions over things much smaller and less controversial become incredibly hostile. But I wanted to commend you gentlemen on how you carried yourselves, and thank you for making the discussion public. One in which I was able to come away a more informed person. Poe was ahead of his time and paved the way for the literature that was crafted after his death. 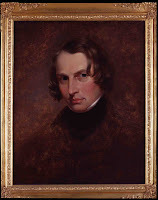 Longfellow was a celebrity in his own time and was a free Brahmin of the literary northeast. Poe was probably trying to keep Longfellow and his friends from being too full of themselves, as well as protecting the public from American literature becoming an oligarchy. More than 168 years after POE’s death, Poe is still read and studied. People are interested in his opinions of others and in others’ opinions about him. Thanks for using this forum to encourage this.